Sara A. Fiore is reference librarian at the Rogers Memorial Library in Southampton, New York. Her work has appeared in Library Journal, Public Libraries Magazine, and PLA Online. Fiore, Sara. 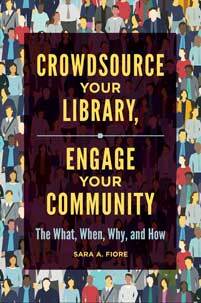 Crowdsource Your Library, Engage Your Community: The What, When, Why, and How. Libraries Unlimited, 2018. ABC-CLIO, publisher.abc-clio.com/9781440861123. This book illustrates crowdsourcing techniques that will help you to raise money and collect community knowledge so your library can be its most impactful.